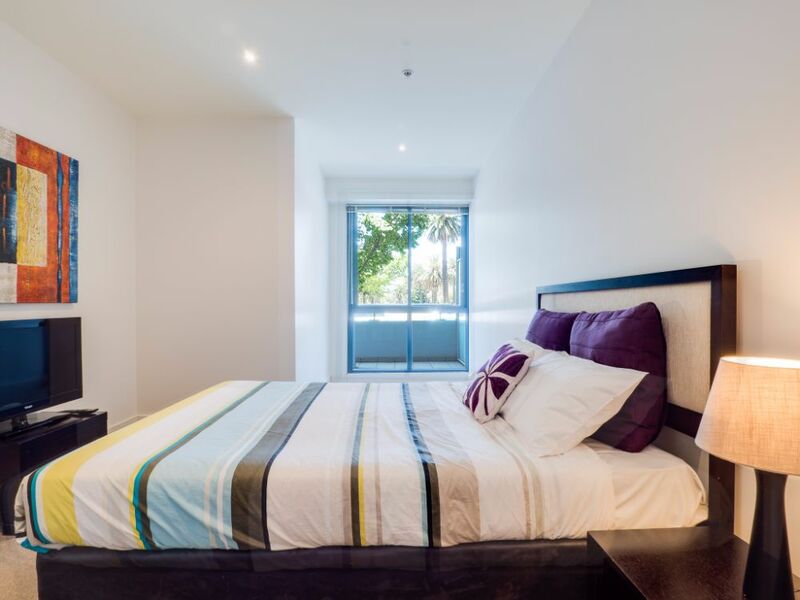 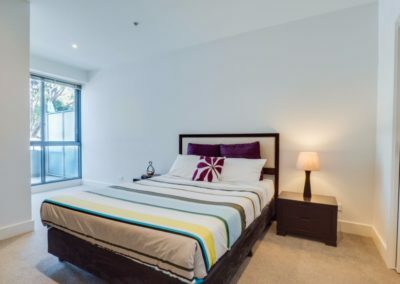 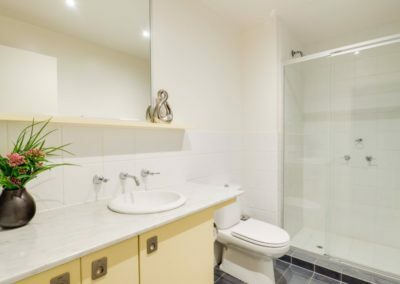 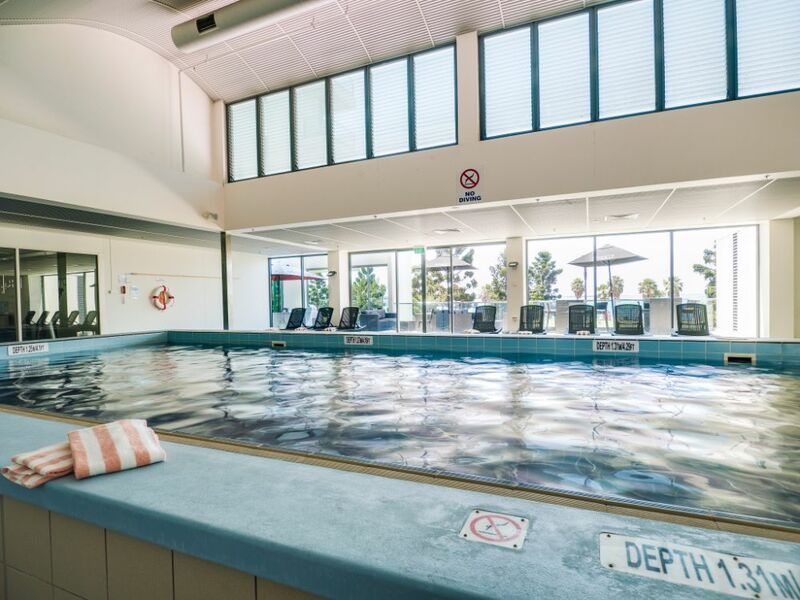 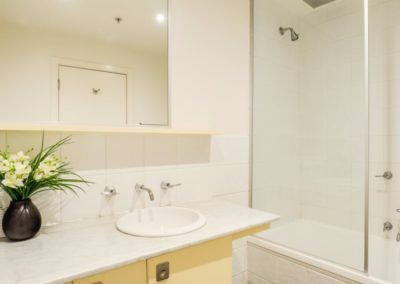 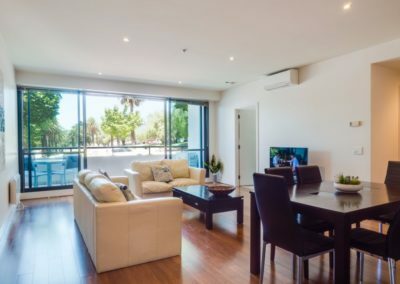 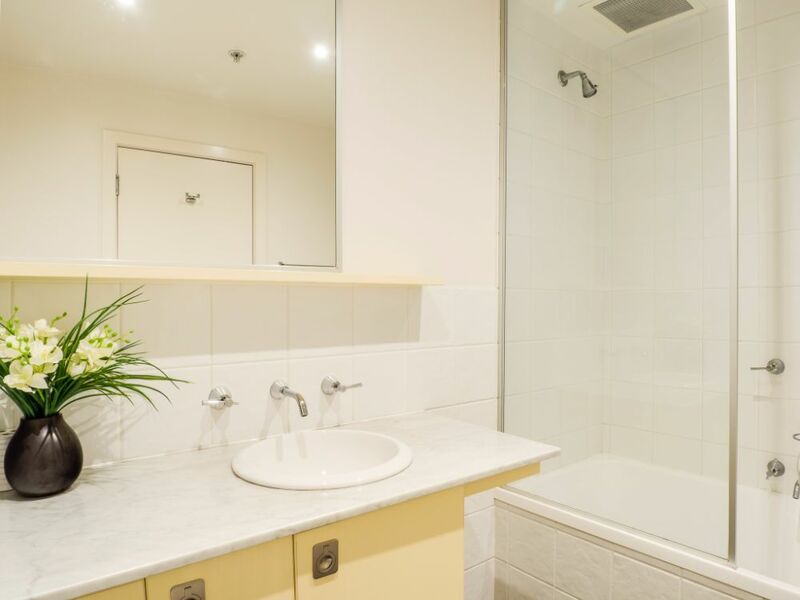 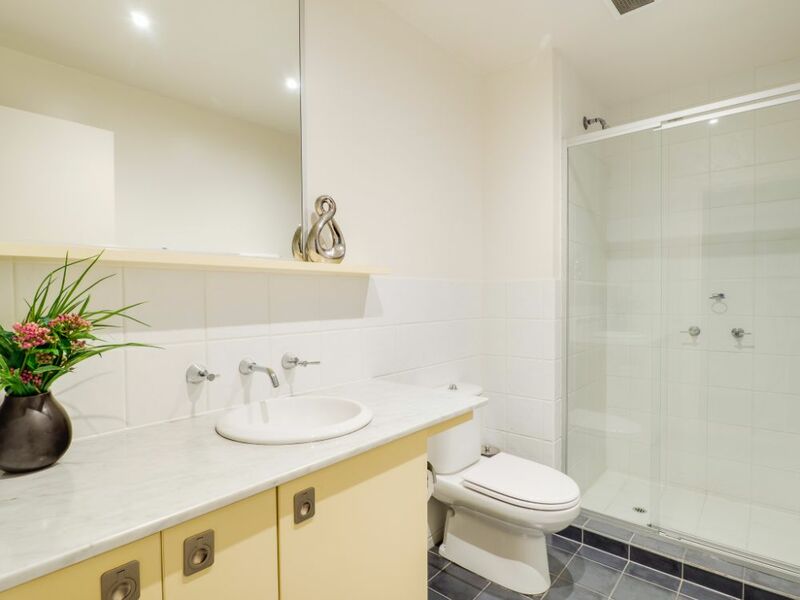 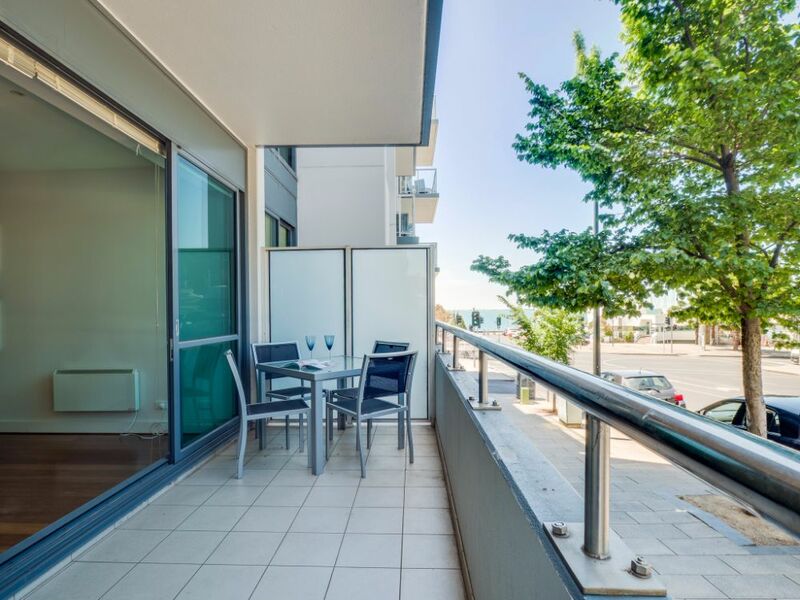 Gold Star Stays’ Geelong Waterfront Apartments offers a deluxe, two bedroom accommodation. 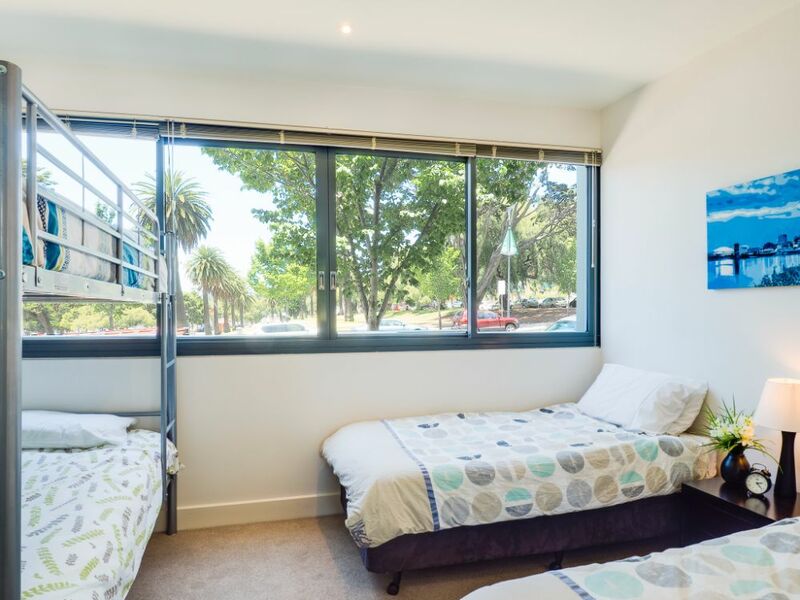 The main bedroom has a comfortable queen bed, with the second bedroom offering two single beds and 1 x bunk bed. 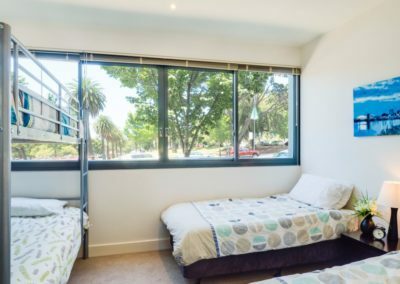 There are also foldaway bed(s) options available. (Sleeps max 7 people). 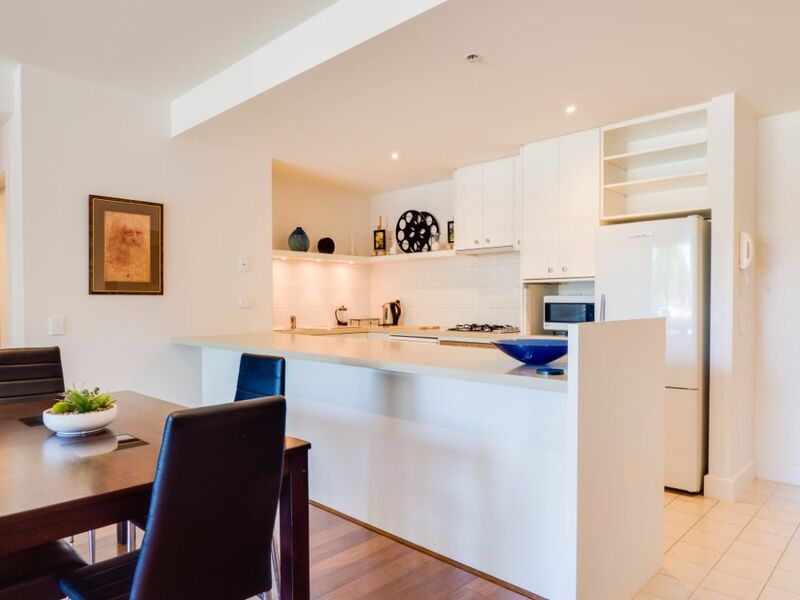 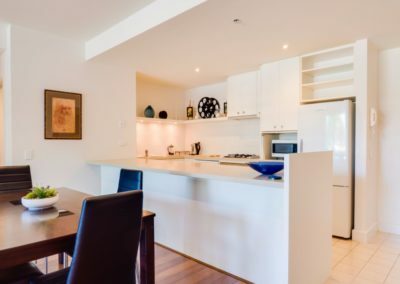 A large, fully equipped kitchen, with a fan forced oven; fridge and dishwasher, has everything you need for a stay that is a home away from home. 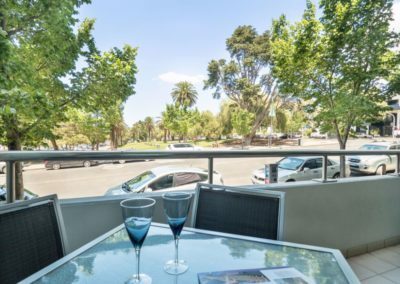 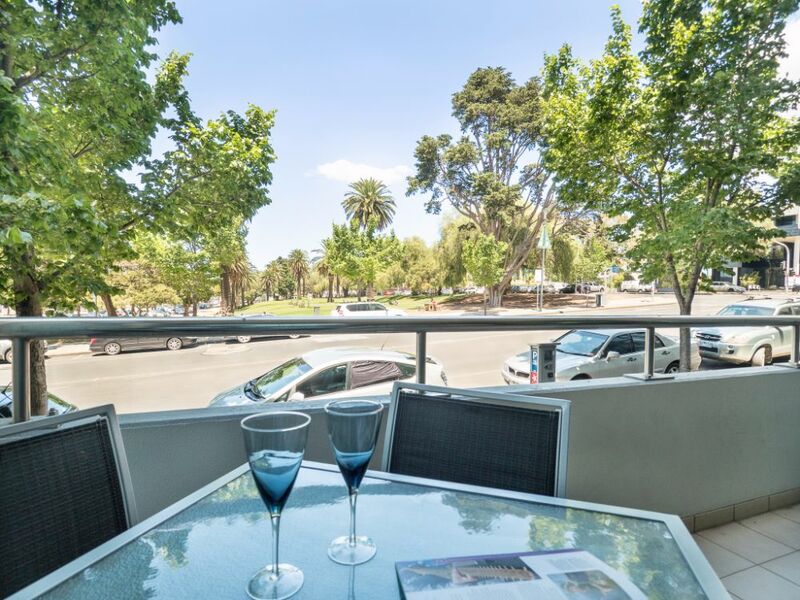 The balcony, with outdoor furniture is the perfect place to relax, with views over the park and down to the Geelong Waterfront. 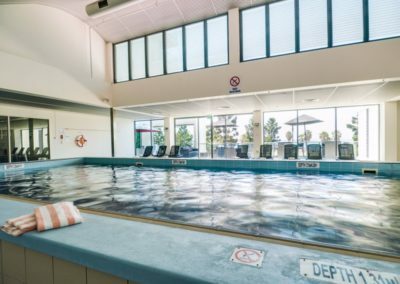 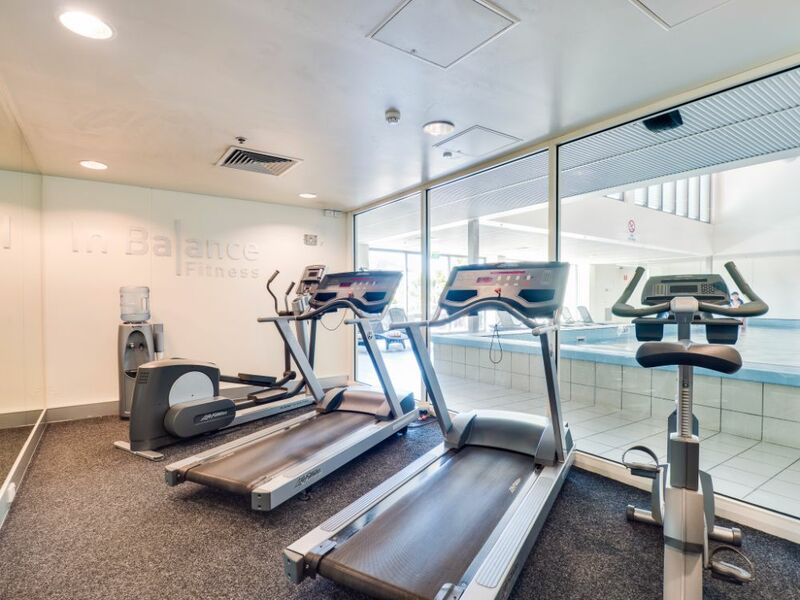 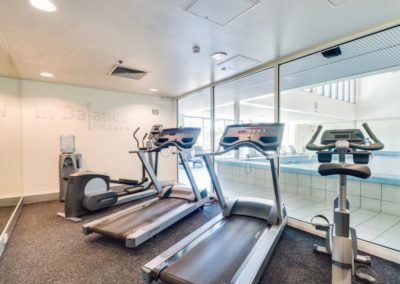 Guests also have access to the swimming pool, gym and sauna.